If you have a look at the online market, it is clearly visible that in contemporary times, it has become very hard and there is neck to neck competition to sell any product. Going back a few years ago and analyzing the situation, we see that the online market was not compact with such fierce competition. One reason for this is that, because the only big players like Amazon, Alibaba had considerable presence in the market. Another reason is that online market was focused on dealing with few things like shoes, clothes and the like, but today almost anything and everything is available online! 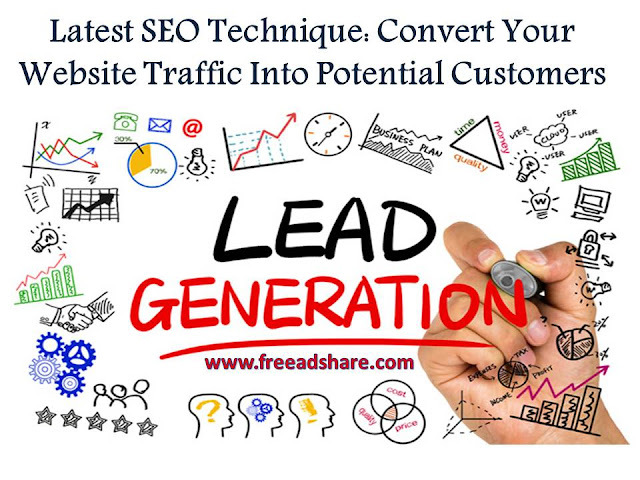 Due to this neck-to-neck battle of online marketing and product visibility, it is very difficult for SEO experts to put their website on the first page and if somehow that becomes possible, then the next challenge is to convert the traffic into paying clients and customers. Here in this piece of writing, some tips to convert traffic into paying costumers are written. Read on! There is basically fundamental necessity at which most of the purchasing choices are made. Customers do not want to take much pain for researching about your product, rather, they want information to be easily available. If your website includes all the important information which costumers need, then it will be easy for costumers to understand your product and this will eventually increase your sale. Therefore, this is the very step important for converting traffic into paying costumers. After having a look on your website, the customer or visitor will definitely have a look on other websites as well to see what all they are offering. It is not sure that the visitor will return to your website again. What one can do is, get their email address by offering an engaging, high-value checklist, report or eBook with the expectation of complimentary that gives more data on taking care of a major issue in the lives of your target audience. If such type of stuff will be present, one can get the email address of the visitor for further contact purpose. An autoresponder can help you in many ways. After acquiring the email address of the visitor, one should get an auto system to send a “Thank You” email. This email includes a hyperlink to download your free offer promptly when someone enters their email address into your select inbox. After completing the step 3, here is a time to build a relationship with your potential customer. Following you're “Thank You” email, send them to 5 to 6 emails that keep on delivering valuable content relevant to your market. Explain to your customers all about the problems in their life you’re going to resolve through your product. One can request or deal with the costumer but this should be done after creating a solid credibility with them. One should go for a call to take action for customers to take action. Once the preliminary 5 to 6 email autoresponder arrangement is done, one can influence customers with a low-end with the offer that will make them attracted to the product and sale. On the back end of that s[ecific offer, one can make a higher one-time offer (OTO) that comes along with the low-end purchase.